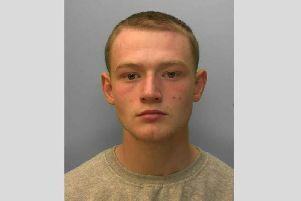 The fiancée of a man killed in the Shoreham Airshow disaster appeared before Worthing magistrates today charged with possession of a class B drug with intent to supply. Giovanna Chirico, 34, of Barton Close, Worthing, did not enter a plea and was given unconditional bail to appear at Lewes Crown Court on Tuesday, March 7, for a pre-trial preliminary hearing. Police searching Chirico’s house on a warrant in September, 2016, found more than 280 grams of amphetamine with a street value of £3,165, the court heard. Chirico ‘knew it was there but had not put it there herself’, said Kirsten Sharp, prosecuting. The charge can carry a two to three-year prison sentence. Chirico was engaged to Mark Trussler, 54, who was killed along with ten others when a vintage Hawker Hunter jet smashed into the A27 during the airshow in August, 2015.